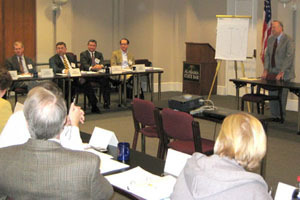 The Alabama Appellate Mediation Program was implemented to provide the parties to an appeal with an alternative method for resolving their dispute. Mediation takes place early in the appellate process in order to save the parties the time and expense of an appeal and to give the parties an opportunity to find creative solutions to the dispute. Authorized by Rule 55, Alabama Rules of Appellate Procedure, and the Alabama Rules of Appellate Mediation, the program will allow for mediation of counseled civil appeals pending in the Supreme Court of Alabama and the Alabama Court of Civil Appeals. Civil appeals include appeals from property line disputes, personal injury actions, divorce, dependency actions, and probate matters, to name a few. Criminal appeals will not be eligible for mediation. Selection for mediation will be made on a case-by-case basis. For additional information, go to the Alabama Judicial System Online page for the Alabama Appellate Mediation Program at judicial.alabama.gov/mediation/mediation.cfm. You will find Alabama Appellate Mediation Rules, Roster and many useful PDF forms on this site. Record and transcript preparation will be stayed in appellate cases which may be referred to mediation. The appellate mediation administrator for the court will review the Case-Screening Form and Confidential Statement returned to the office and, if the case is referred to mediation, all appellate proceedings will be stayed from the date of the Order of Referral to Mediation. Parties will be given the opportunity to mutually select a mediator. A roster of approved appellate mediators will be provided. The appellate mediators on the roster are attorneys on the Alabama State Court Mediation Roster who have successfully completed a specialized appellate mediation training sponsored by the Appellate Mediation Office. In the event the parties do not agree on a mediator, the appellate mediation administrator will assign a mediator from the roster of approved mediators. The mediator shall coordinate the time, place, and procedure for the mediation, including the filing of any mediation summaries. The mediation session(s) shall be held at a convenient location. Telephonic mediation may be used if agreed to by the mediator. The mediator does not have the authority to impose a settlement upon the parties. The role of the mediator is to assist the parties in reaching a satisfactory resolution of their dispute. At the mediation session, all parties present a summary of their point of view. Typically, the mediator will then meet privately (caucus) with each party to explore more fully the facts and issues of each side. The goal is for the parties to come up with their own solution to the problem by way of an agreement. After a mediation has been completed, the court will dispose of the case if the mediation was successful. Disposition of the case might involve dismissal of the appeal, remand to the trial court for approval of a settlement agreement which requires court approval, or entry of a stipulated order called for by the mediated agreement. If a mediation is at an impasse, the appeal will be reinstated on the appellate docket and the stay of proceedings lifted. All appellate time requirements shall resume. Alabama is fortunate to have several district court mediation programs. The programs use volunteer mediators, both trained lawyers and citizens, to help litigating parties settle their cases. District court mediation programs use trained mediators that are either attorneys or citizens volunteering at the court. One of the mediators will act as coordinator with that authority delegated and supported by the presiding judge. When the district small claims dockets are set for the month, the coordinator notifies mediators so they may select the day(s) they would like to be in court. Mediators then show up on the days they have selected. At the docket call, the judge will explain mediation, introduce mediators, and inform parties that a mediator is available to help them discuss settlement options they want to consider with the other side. Some judges will have selected cases in advance, and will order them to mediation (especially if there is an admission, but the amount is not settled). 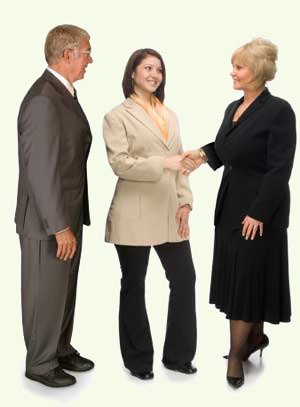 Parties are asked to request mediation when their case is called. Mediators try to make it a point to have special, quiet and safe places in the courthouse to take parties to mediation--that could be a conference room, jury room, or special room selected for mediation. The average mediation will take 30-45 minutes. Judgments affect credit ratings, and collection can be difficult. Mediation helps the parties with these problems. It will shorten the court’s docket. If parties don’t settle, they are still in line to have the judge hear the case that day. Parties may request their district case to be specially set for mediation, and they will contact the mediator to have it scheduled. If the case is not a small claims case, it is perfectly acceptable for the mediator to charge the parties a reasonable fee. Parties just have to know that in advance, and how much they will pay. District court programs rely on the presiding judge to support the coordinator’s efforts to improve mediator performance, and to learn best practices in small claims mediation. The judge will also want to review litigants’ satisfaction surveys from time to time in an effort to check for satisfaction and overall program effectiveness. (Surveys are provided as part of the materials for setting up a district court mediation program.) The judge should expect yearly reports from the coordinator on mediator and program performance, and should not keep unsatisfactory mediator on the roster. Volunteer mediators will need supplies and free parking someplace close to the court. Additionally, inviting mediators to a mediation update and lunch during the year goes a long way. The coordinator may be encouraged to write grants or seek local funding to assist the program. Small claims mediation should be publicized in the community to promote its use. Most of the programs contact the local paper with an invitation to see for themselves. Developing a District Court Mediation Program at Your Court. The district court programs are easy to replicate because they use the same mediation forms and procedures statewide to mediate at small claims docket calls and for specially set mediation in cases from $3,000-$10,000. Below is a list of forms and documents to use when a district court wants to have a small claims mediation program. All may be styled for the particular court. Mediator training information, coordinator selection, and additional assistance may be obtained from the director of the Alabama Center for Dispute Resolution. Contact us for additional information. The Kinnard Mediation Center (formerly known as the Circuit Mediation Office) conducts mediation of civil appeals under Federal Rule of Appellate Procedure 33 and Eleventh Circuit Rule 33-1. The Court's mediation process provides opportunities for parties to resolve their dispute confidentially with the help of a neutral third-party. 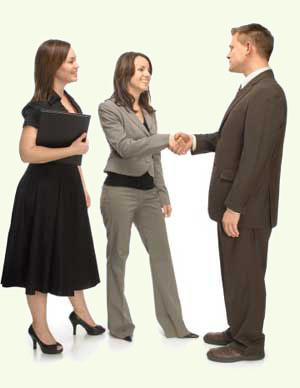 Each year hundreds of appeals are resolved through the mediation program. Learn more at their web site, www.ca11.uscourts.gov/offices/mediation.php.